Let’s say your a small business called StartUpBiz. You’ve recently launched an online website called StartUp.Biz, but you’re not seeing a lot of traffic. And this is frustrating to you, because you offer a great product or service. You begin brainstorming ways to engage your online audience. Your first Instagram post is an adorable picture of your office dog named Pepper. It receives 7 likes… It’s a start, at least. Bottomline, you’re not seeing the online growth you’d like to achieve. The office dog pictures are cute, and your services or products are amazing, but something’s missing… Your business does not have online video content. Did you know that a single video averages 1200 more shares on social media than images and text combined? People like video. Your customers like video. In 2018, customers are drawn to businesses promoting their products and brands through video. Video does what other content mediums can’t: it is the most sensory medium. It builds trust. Customers can see your company and your people. There are plenty of ways to engage your customers or online audience through video. However, in 2018, if your company wants to stand out in the digital media space, your company should be Live Streaming. What a great question! 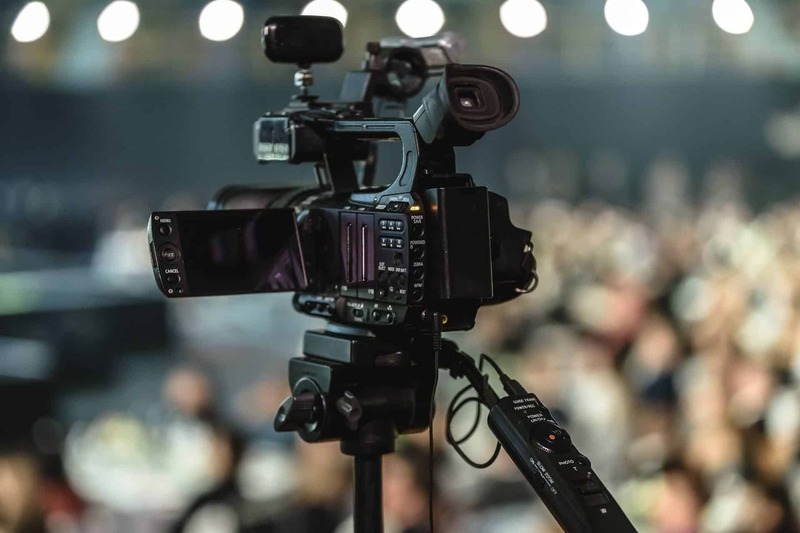 Live Streaming emerged in the last two years as the most optimal way to connect with your online audience through real-time, interactive video. Live Streaming is a revolutionary media service for businesses to communicate and engage with their customers in an authentic way. Live Streaming makes online video interactive, authentic, and satisfying for viewers. One of the ways Live Streaming is different from other content mediums is that the audience tuning into a Live Stream can have their questions answered immediately. That means that during a Live Stream you can connect with anyone interested in your services through interactive video.